Choose from a selection of 19 holiday rentals in Risør. Use the search form to the left to filter the results and pick your choice of self catering accommodation in Risør. We have a good selection of holiday apartments in Risør perfect for family, single, romantic and group holidays. You may prefer to take a look at our listed holiday villas in Risør or holiday apartments in Risør. Find your holiday homes by a specific type using the property type drop down in the filter. Filter the holiday homes in Risør by a specific area using the area list above. 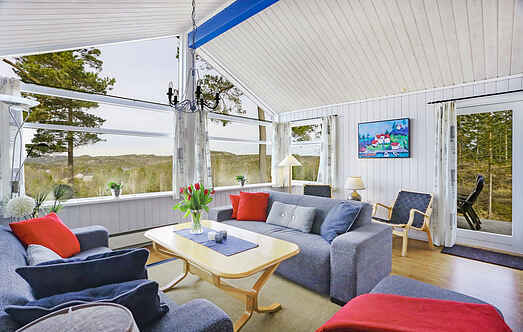 Welcome to a cozy, red holiday home situated on the quiet Sørbø not far from Risør. The area is perfect if you want to enjoy the Norwegian nature and all that it has to offer. Do you like to enjoy lazy summer days in great, natural surroundings with the sea as your closest neighbour? With this cozy holiday home you will get this. This functional holiday home is built on a rocky outcrop at stbneset, close to a fjord inlet near Risr. Lovely holiday home in idyllic Hammeren in Røed. Suitable for families. This cosy holiday home is located just 10 metres away from the idyllic lake. The house has a storage room with a toilet and shower outside. The farm has Icelandic horses. Welcome to a cozy cottage situated on Røysland Farm on Øysang near Risør. The farm has Icelandic horses. Nice cabin with great location in a cabin area. Here you can enjoy the view, lie in the sun or relax in the hot tub or sauna, great after a long hike. Cozy cottage with good location for anglers. Drive along the fjord out and try your luck. By the Sørfjorden, a few miles from the city of Risør, you find this beautiful holiday home of high quality. This is an ideal origin to discover the South-Norwegian coastline. 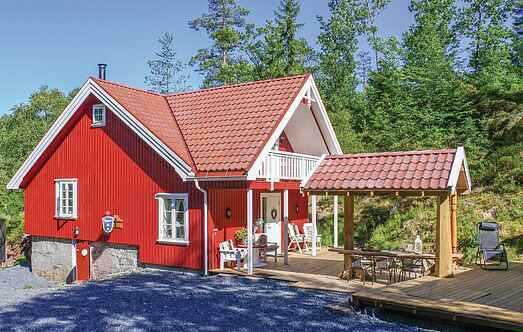 This cabin is in the middle of the forest and yet right by the sea in Risør municipality in Aust Agder. Her you can really relax and enjoy your holiday in silence.